WILMINGTON – Students pack a lot of learning into four years of high school, but for some, everyday living in the “real world” is not in the curriculum. 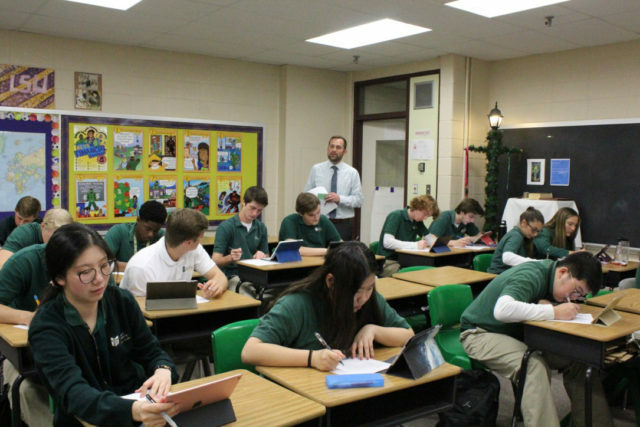 A local teacher introduced a classroom component this year at St. Mark’s High School to address just that. 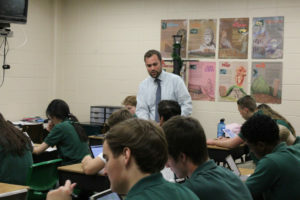 Social studies teacher Will Simpson added personal finance to his economics class to try to lay out basic life skills “that everyone should know when they graduate high school, but no one does.” That includes the importance of saving money, getting the right insurance, knowing how much house one can afford, and other aspects of living on one’s own. Simpson and the other economics teacher, Mark Hannagan, must be having an impact, because a team of four St. Mark’s students recently won a personal finance challenge at the University of Delaware. Two teams from St. Mark’s were among the 22 squads from 14 schools that participated. Will Hoffman, a senior who was on the winning team, said each was given three tests. The first two were done individually, and the third involved all team members. Topics included credit and saving money. His team defeated one from Archmere in a final round that featured questions quiz-bowl style. Hoffman, who will be attending Penn State University in the fall, has enjoyed Simpson’s class. 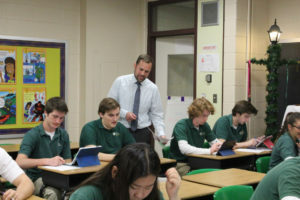 Will Simpson teaches an economics class at St. Mark’s. His teammate and classmate, Nick Kayatta, will be attending the University of Delaware to study financial planning. “It prepares me for that so I have some background knowledge about coming into that major,” he said. The other members of the team were David Suddard and Drew Koense. Their victory, in St. Mark’s first appearance at the challenge, ended Smyrna High School’s six-year winning streak. Hannagan’s team took sixth. Simpson is in his first year at St. Mark’s after teaching at Smyrna. He wanted to institute the personal finance component to the economics class because he remembered some of the mistakes he made when he was younger. He credits the administration at St. Mark’s for giving him the green light. Simpson wanted to give the students – mostly seniors, but also a few juniors – something practical they could take with them. In a recent class, the students were presented with the scenario of moving into their own place with a budget of $2,000 to furnish it. The students have to decide how much to spend on furniture, for example, and whether to go to Ikea or a more expensive store. “They really have an advantage when they get out on what they’re going to do. 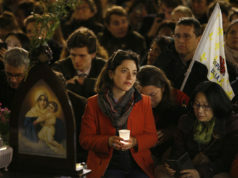 They’re not surprised at how much they’re going to need,” he said. Will Simpson, in his first year at the St. Mark’s High School, introduced a personal-finance component to the class this year. Matt Dougherty, a senior, believes the class will help him when he strikes out on his own, but also before that as a student at Fairleigh Dickinson-Florham in New Jersey. He’s taught me about how, after college, you have to think about what you’re going to do. It just opened my horizons to something I didn’t know about. I’m majoring in business, so it’s helped me. That’s why I took this class. 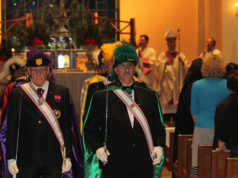 I feel like I’m going to get a head start,” Dougherty said. Each of the students on the winning team took home $500, which provided an immediate opportunity to test what they’d learned in Simpson’s class. 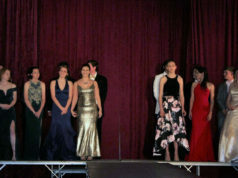 “I need it for prom and books for college and all that kind of stuff,” Hoffman said.